If you haven’t heard of Irène Némirovsky, then I strongly recommend her writing. Suite Française is definitely a masterpiece. For once, the journalists’ praise added to the front and back cover is so apt. I have not read such a brilliant book for a long time. The novel is set in 1940-41 at the Fall of Paris and depicts the panic as Parisians flee the city, and then details everyday life in a small village just within the occupied zone of France, as the locals learn to deal with the German army located among them. The novel was written at the time, but remained unknown and unpublished till 2004 (translation in English 2007). But it is not only the novel that is gripping in its detail; Irène Némirovsky’s own story is emotionally moving and ultimately tragic; and it is equally remarkable that the manuscript survived, carefully saved by her daughters, even though they did not know what they had saved. Irène Némirovsky was born in Kiev, a Jewish-Russian. Her father became a prominent banker in St. Petersburg and Moscow. However, the family had to flee the 1917 Bolshevik Revolution, losing everything. Eventually, they made their way to Paris, where the father rebuilt his banking career. Irène had had a French education, not uncommon in Czarist Russia, and had immersed herself in books. She began writing and in 1929 her book David Golder was published to immediate critical acclaim. The book was also turned into a film. Irène became a well-known writer among the French literary establishment, but she was never granted French citizenship. The war compelled her to leave Paris for the French countryside, where she continued to write. Gradually, however, the Aryanization of the literary world meant she was increasingly isolated and rejected. In 1942 she was arrested and sent to Auschwitz where she died on 17 August. Her husband was arrested some weeks later and sent to the gas chamber in Auschwitz on 6 November. The two daughters were saved by a succession of friends, nuns, and others, and all the while the eldest daughter, Denise, carried a suitcase with all her mother’s notes in it. After the war it was too painful to open the notes. Only at the end of the century did she have to courage to read the notes and among Irène’s notes, she discovered the manuscript of Suite Française in minuscule handwriting in notebooks. Irène’s notes also describe her plans for this great 1000-page novel in five parts, and largely to be written simultaneously with the unfolding of the real events. Sadly, only the first two parts were written: Storm in June, and Dolce. Irène conceived the whole Suite in the manner of Beethoven’s Fifth Symphony, with each book having a different tempo: allegro con brio, andante, etc. Irène’s younger daughter, Elisabeth Gille, wrote a magnificent imagined biography of the mother she never knew: Le Mirador: Mémoires rêvés. She was only five years old when her mother died at Auschwitz. 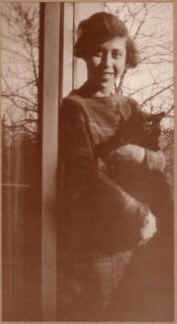 Irène Némirovsky was a well-known author in France in the 1930s. But gradually after the war she seemed to be neglected. I had picked up Les Feux d’Automne (see recent reading) some time ago, but only read it a couple of years ago. Suite Française is far better, with echoes of Tolstoy and Flaubert – this is not an exaggeration. It is a book to read slowly, to savour the descriptions, to immerse yourself in the unfolding events in the realization that the book was being written at the same time, to grasp the hypocrisy and greed among the social classes. The book is an indictment of bourgeois manners, compromise and collaboration, but there is hope and spirit. If you get the chance, read it. It has now been translated into several languages. This entry was posted in Writing and tagged 1917 Revolution, Auschwitz, David Golder, Fall of Paris, Flaubert, Irène Némirovsky, Kiev, Le Mirador, Paris, Suite Française, Tolstoy. Bookmark the permalink.